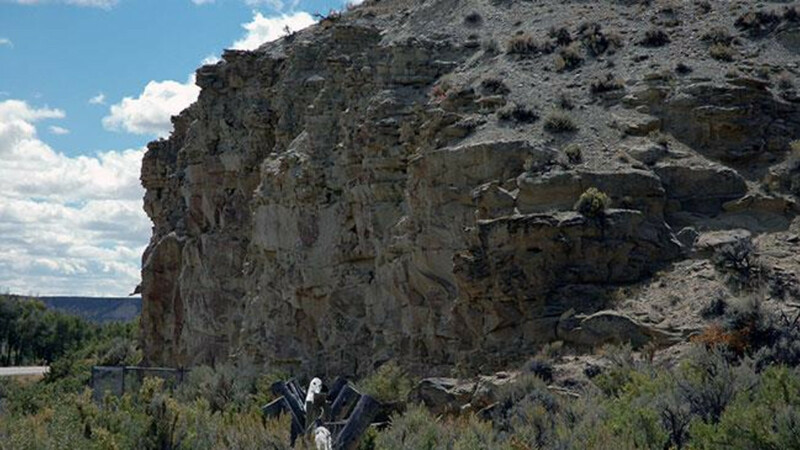 US Highway 189, 6 miles south of LaBarge. 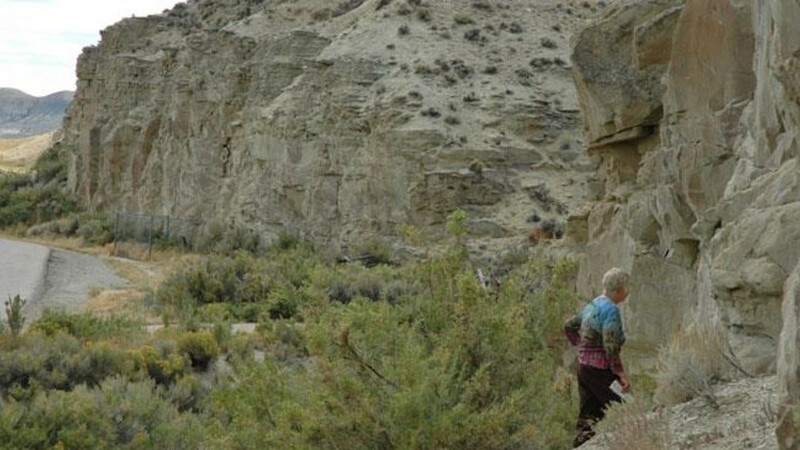 This site, on the cliffs rising above the Green River, is one of three locations along the Oregon Trail where emigrants registered their presence. 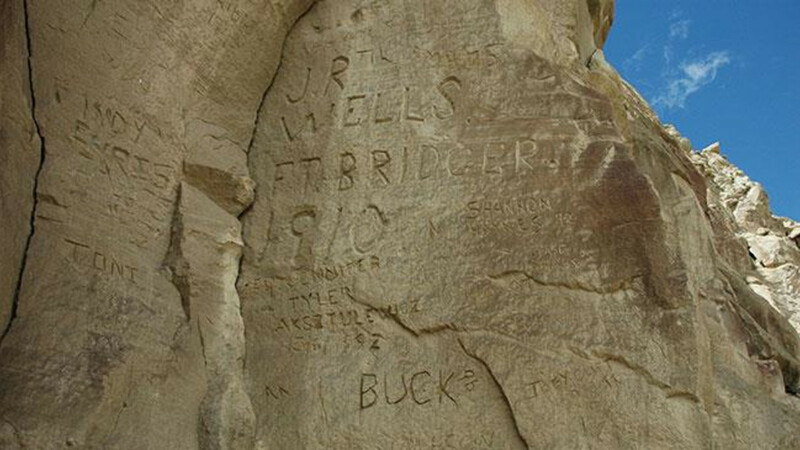 Here they camped and carved their names into the soft limestone. 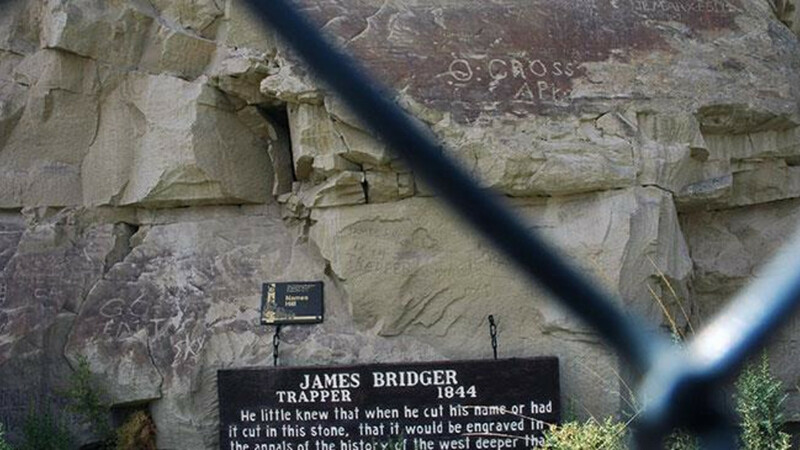 The earliest dates back to 1822 (making it the oldest pioneer inscription in Wyoming), but the most famous is that of mountain man Jim Bridger, who despite reportedly being unable to read or write, left his mark here in 1844. 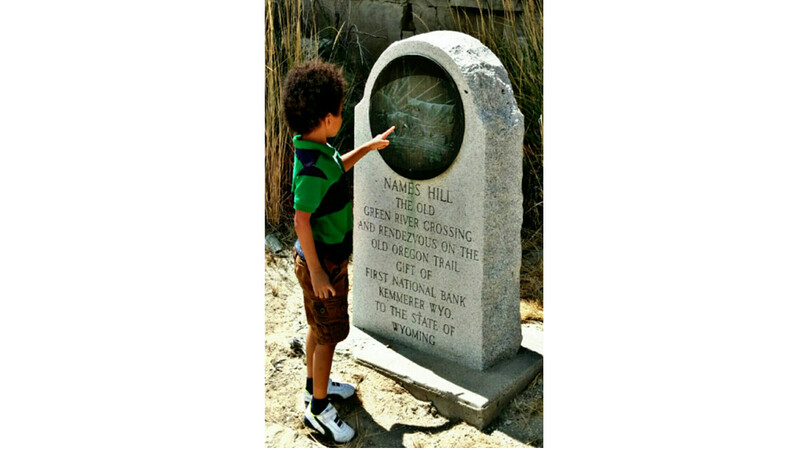 The Indians using pictographs, as well as the white man left his mark on the rock.